Manchester United’s Angel Di Mar�a endured a torrid time at Old Trafford last season, failing to show the quality that led the Red Devils to splash �59.7m on him just a year ago. With rumors swirling around his exit, there’s another Angel making waves in the red half of Manchester. 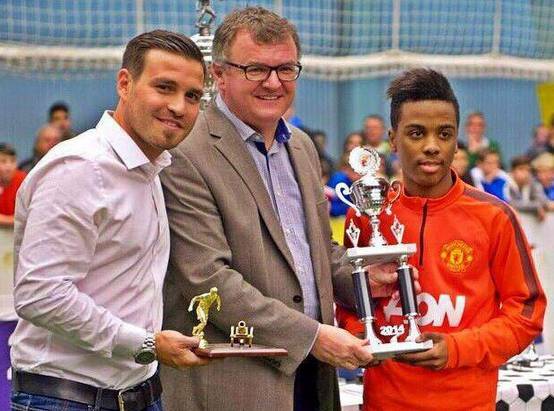 14-year-old Angel Gomes signed for the club last year as well, and he looks like he might just be the real deal. This video of him showing off his sublime skills is evidence of this fact, and we’ll be keeping an eye on him in the coming years.